The conceptual force behind the Vijayawada Garden Estate is an architectural taboo rarely attempted at such a scale and with such visual flair. 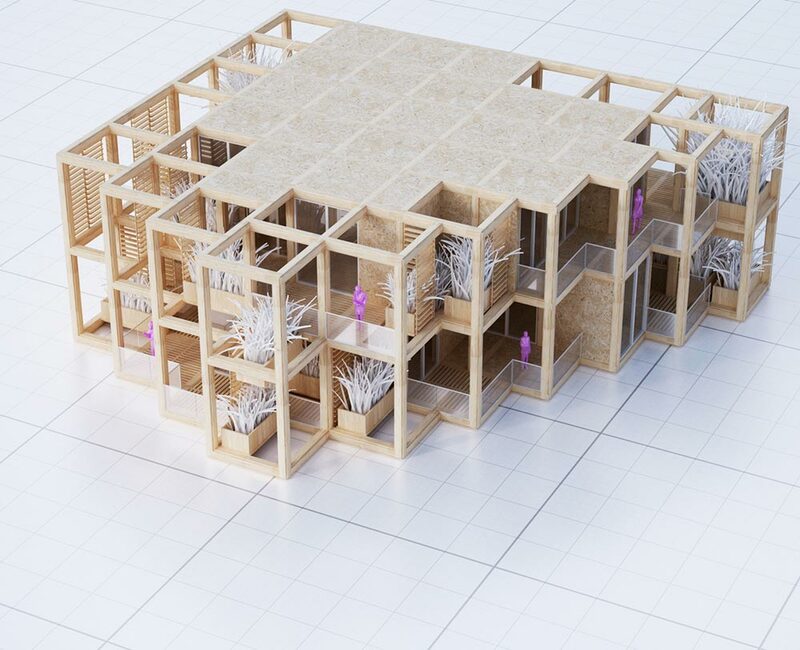 The idea is a walking contradiction: design a prefabricated building system giving individual owners control over the end-product as if they were designing their own homes. 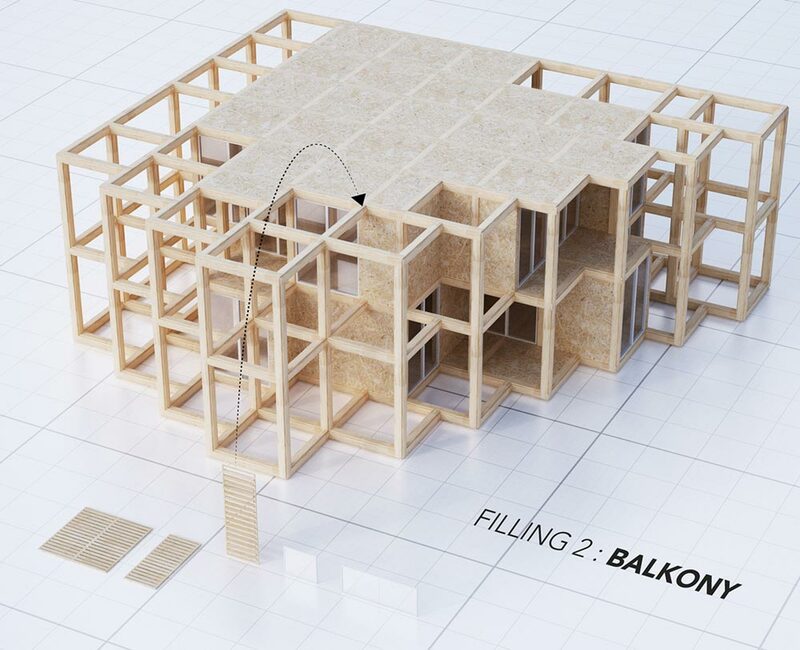 Prefab casts the assumption that standardization is required in order to maintain quality control and manageable construction costs. Design firm Penda has an ambitious solution that manifests itself in this elegant system of ecological assembly. The Garden Estate is based on a orthogonal structural grid that can extend vertically and horizontally in any distance. 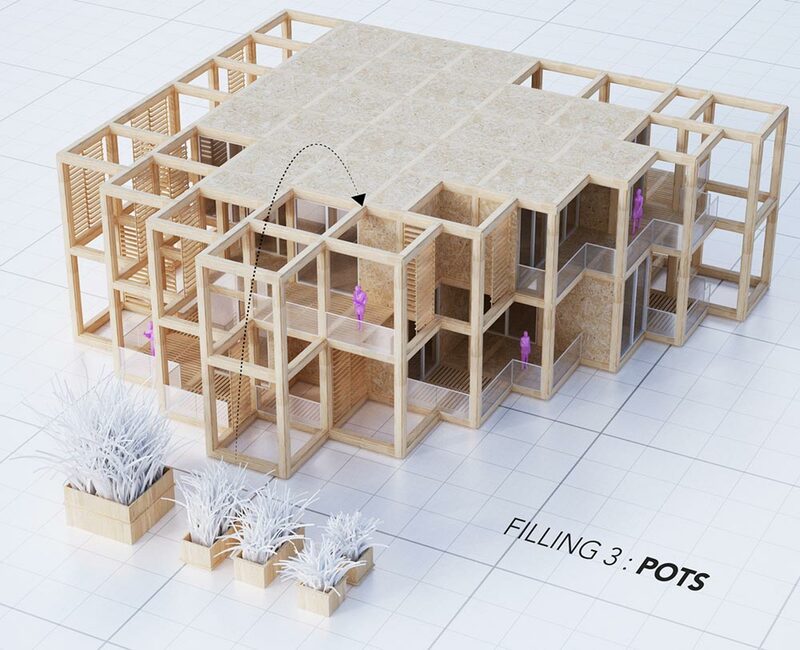 Modular boxes are then plugged in to create self contained residential or commercial units of space. 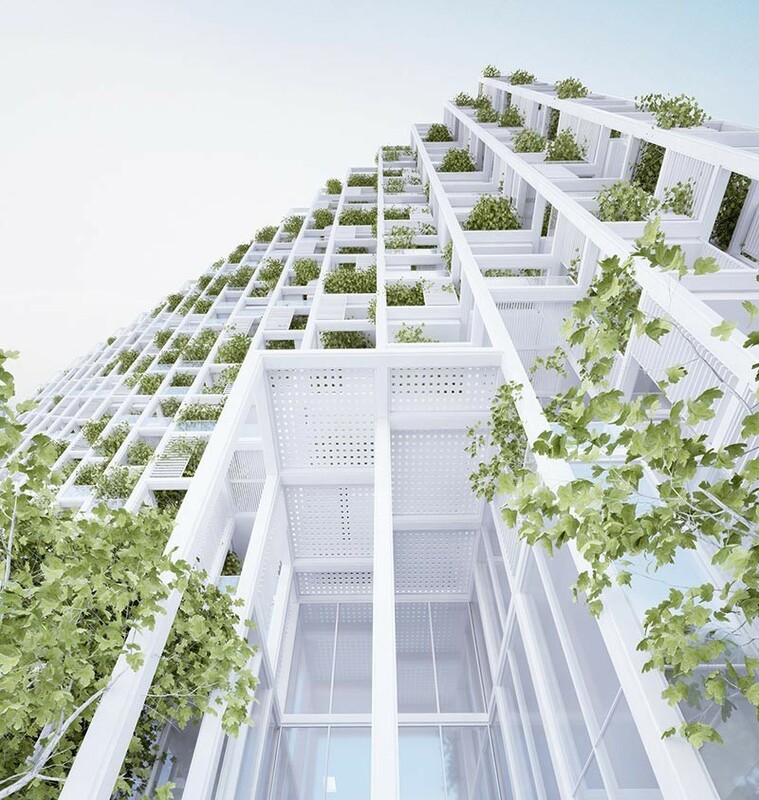 The remaining volumes are packed with green open space making for an aesthetic that reinforces the system’s commitment to sustainability. The idea is based on a modular shelving system you might find at IKEA or Pottery Barn. It is a scaled up kit-of-parts that can be tailored based upon individual needs or preferences. The system is implemented to create a variety of formal solutions to specific building parameters using the same basic infrastructure. 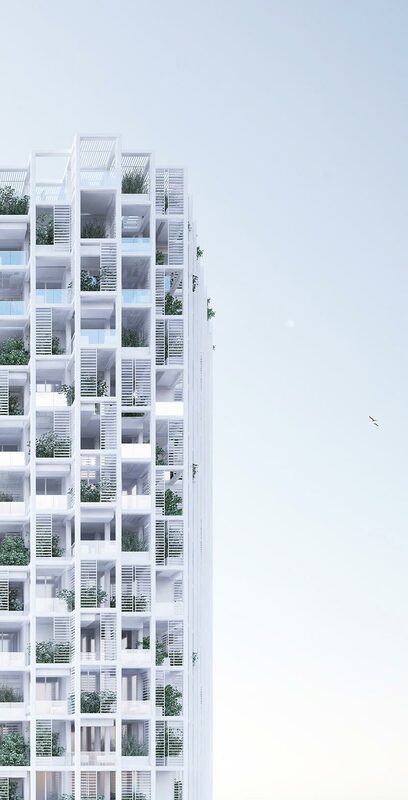 A visual and spatial buffer at the prominent exterior facade of each unit maintains a level of homogenization. An outdoor deck with green space and adjustable louvers acts as an intermediary between in and out. 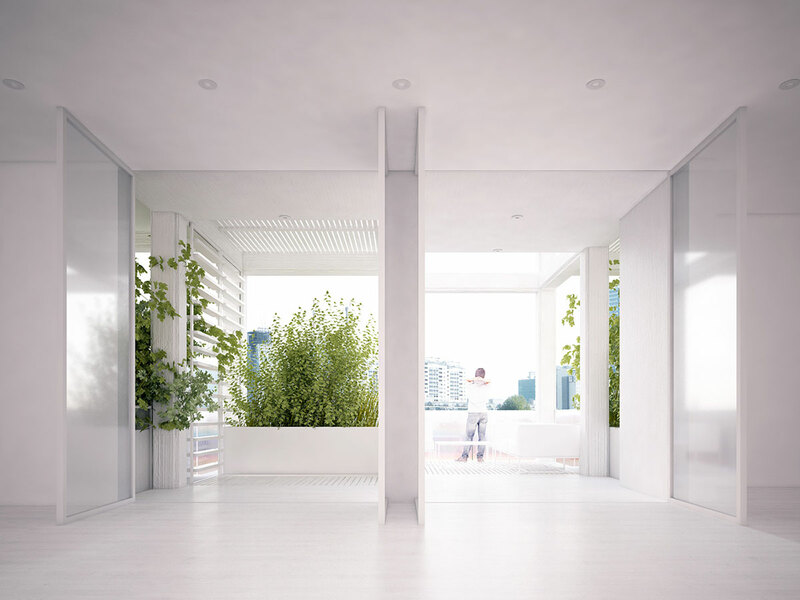 The interstitial space’s duties are two-fold: keep the exterior of the building aesthetically consistent, while creating a vegetated lens that modulates light and air. 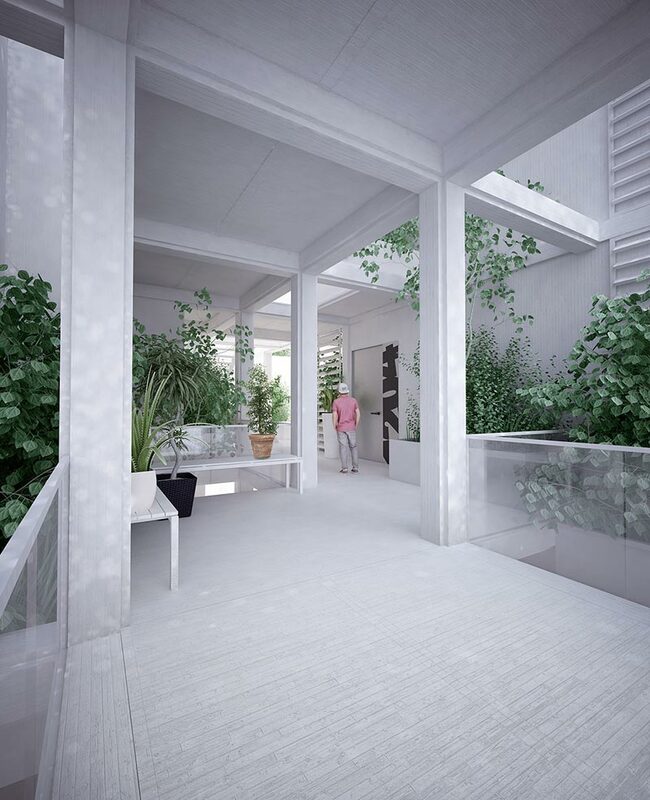 The Garden Estate currently operates as a comprehensive concept for a future building system. 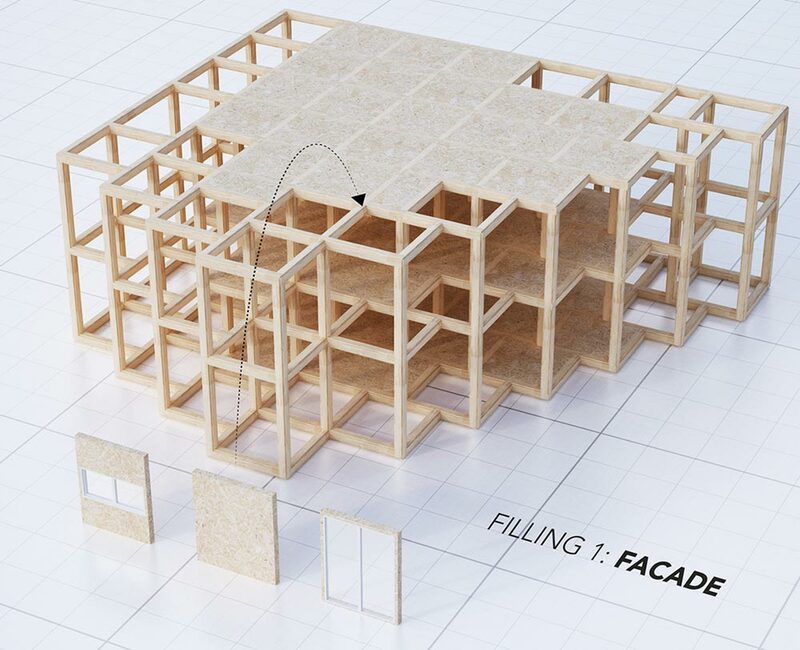 If it is prototyped, and eventually put into mass-production, it could mark a substantial shift in the way we think about prefabricated structures. A kit-of-parts is nothing new, but designing one that can work on such a massive scale with so much flexibility has yet to be properly developed. We will be keeping an eager eye on this one. Fantastic! Individual tastes catered to. WOW! I’d like to expand my house by this system.